ATTRACTIVELY PRICED - Rear Garden - Development Potential - Bright and Spacious - Two Reception Rooms - Close to Amenities and Transport Links. Ideal For Home Movers - Situated on Spa Hill is this post Victorian mid terrace freehold house that offers any potential purchaser the opportunity to add their own decorative stamp to what could be a stunning family home with scope to add value ( STPP ). Boasting fantastic views across London, this larger-than-average two bedroom flat is well-presented within offering a stylish kitchen, two double bedrooms and off-street parking. Boasting bright and spacious interiors, this fantastic four bedroom house benefits from a lovely reception room with bay window, modern fitted kitchen, two bathrooms and a private rear garden. This impressive three bedroom semi-detached house offers fantastic living space with two sizeable reception rooms, a bright and airy conservatory and lovely private garden & separate garage to the rear. 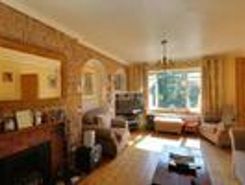 TheHouseShop.com is the leading property marketplace in Thornton-Heath in Greater London and has been helping landlords, tenants, sellers and buyers to save money when buying, selling, letting and renting property online. Estate agents, online-only agents, private sellers, private landlords and property developers can all list properties for sale and to rent on TheHouseShop.com, as it is the only property marketplace in the UK to accepts listings from both professional agents and individual homeowners. 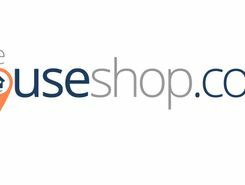 Homeowners can use TheHouseShop.com to compare the best High Street and online estate agents in Thornton-Heath in Greater London, or advertise their property privately. Thornton-Heath in Greater London homeowners can save thousands by selling their home online with TheHouseShop. More and more people have been using the internet to sell property privately in Thornton-Heath in Greater London. TheHouseShop can arrange a free professional property valuation from a local property manager with expert knowledge of the Thornton-Heath in Greater London market – helping you to set the perfect price for your property. Private landlords and sellers can make use of TheHouseShop's marketing options to generate more exposure for their property and quickly find the right buyer or tenant. Thanks to TheHouseShop, homeowners in Thornton-Heath in Greater London can save time and money by advertising their properties to thousands of motivated users on the UK's leading property marketplace. If you are a homeowner looking to sell or let a property in Thornton-Heath in Greater London, then TheHouseShop are here to help! Estate agents in Thornton-Heath in Greater London can also use TheHouseShop to advertise their listings free of charge and reach a new audience of buyers and tenants. 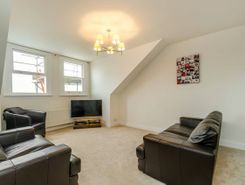 TheHouseShop showcases a range of houses and homes in Thornton-Heath in Greater London including, flats, apartments, maisonettes, and bungalows, giving buyers a unique selection of property for sale. Big agent-only property portals like RightMove and Zoopla will not showcase private listings, but TheHouseShop's mix of professional and private listings mean you can find unique homes in Thornton-Heath in Greater London for sale and to rent. Make sure you visit TheHouseShop during your property search and don't forget to set up a free property alert to find thousands of unique new homes updated daily. 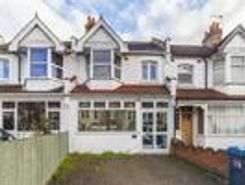 There are a large number of estate agents in Thornton-Heath in Greater London and sellers can use TheHouseShop to compare Thornton-Heath in Greater London estate agents and find the perfect fit for their property. 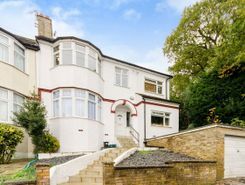 TheHouseShop is visited by tens of thousands of buyers each day who are looking for homes for sale in Thornton-Heath in Greater London and the surrounding areas. 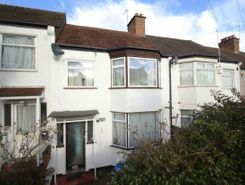 TheHouseShop specialises in the accessible property niche market and have a selection of adapted homes for sale available in Thornton-Heath in Greater London. Some of the best New Homes developers in Thornton-Heath in Greater London use TheHouseShop to promote their accessible listings as well as their new homes for sale. Home hunters will find a wide selection of cheap homes for sale on TheHouseShop website. People looking for cheap property and affordable new homes for sale can find property in Thornton-Heath in Greater London available through Shared Ownership agreements. Buyers can use TheHouseShop's online valuation tool to get a free property valuation for any home in Thornton-Heath in Greater London and make sure they don't pay over the odds. Whether you want to buy, sell, rent or let property in Thornton-Heath in Greater London, TheHouseShop is your one stop shop for all your property needs.